Using games to promote brands is increasingly commonplace. Learning some gaming “best practices” can help you avoid amateurish pitfalls and will reward you accordingly. Over the past year or so, gamification (also called game mechanics, serious games, and funware) has become a mainstream technique that marketers rely on to drive more traffic to their websites, to increase content consumption, and to encourage user participation. Have you ever taken a poll or survey on a company’s website — like ours? Have you ever signed up for a newsletter for a chance to win a prize? Do you collect frequent flier miles or check in with Foursquare? All of these are examples of gamification, and you can expect to see a lot more of this in the near future. Gamification (noun): the integration of game mechanics into non-game material to increase user engagement. For publishers who are experimenting with enhanced content, maintaining author websites and creating consumer-facing websites, adding game mechanics can be a great way to get readers to engage with the content. Granted, the very moniker “gamification,” is one that some in the industry would rather leave behind, arguing that the word implies that adding game mechanics is easy, which is both misleading and potentially bad for the emerging gamification professionals. 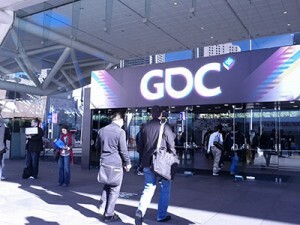 At the Games Developers Conference in San Francisco last week, several hours’ worth of panel discussions were dedicated to gamification, with a particular focus on how to implement meaningful and rewarding game mechanics while avoiding gratuitous point-awarding and meaningless leaderboards. But gamification isn’t confined to marketing and web traffic. Universities and educators have also adopted these techniques to enhance the way students process and use information. Seth Cooper and Zoran Popović from the Center for Game Science at the University of Washington presented their game FOLDIT, a game meant to help students better understand the structure of proteins inside the human body. The game has over 200,000 players, many with no background in biochemistry. Determining the shape of proteins is a slow and expensive process, so biochemists turned to computers to help them predict the shapes. It turns out that FOLDIT outperforms any known computational processes. And it’s a game! DISCUSS: How Can Games Be Used to Promote Literary Brands?